Yahoo! 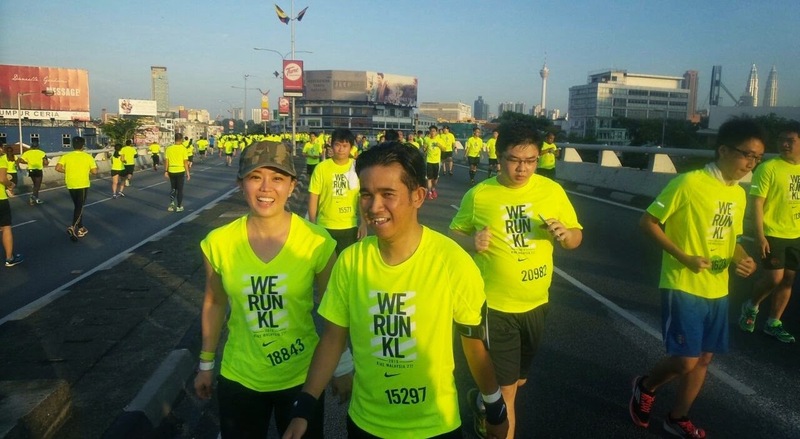 Finally I completed my first half marathon at Nike We Run KL 2015 on 1st February 2015, Sunday. Gave myself a pat at the back! I am glad that decided to Just Do It and finished the race. 2015 is a challenging year so be brave and believe in myself; I can do it. Almost 8,000 runners raced toward their personal bests that morning. The weather was good until 9am it’s started to be sunny and warm, I prefer to run in cool weather. That day I woke up around 330am to get ready and arrived at Stadium Merdeka, Kuala Lumpur around 415am and the flag off time is 530am. I was quite relax, took some photos, upload Instagram, walk around, went to the toilet, drink and deposit my bag. Please take note, when you are going for run or race arriving early is a must, less stress and you have time to warm up. Plus if you are early you get a better parking spot. Ready, Get Set & Run! Finally around 5am I walk over to Petaling Street the starting point. 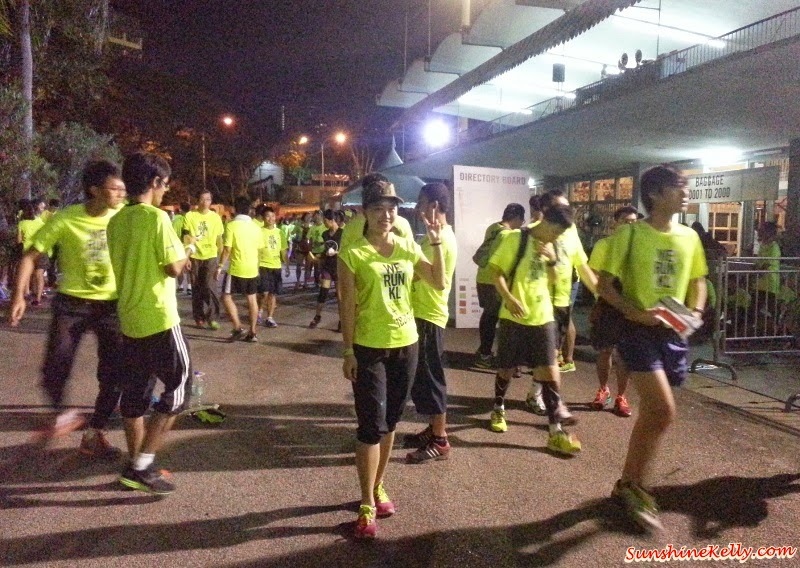 The place was so crowded but everyone was in good vibes and ready to run. We can’t wait to start! For the first 5km I was doing alright, consistently running. Then the next 10km a bit slag, I ran, jogged and walked at the same time enjoy the morning scenery going through some of Malaysia’s historical points in Kuala Lumpur including Stadium Merdeka. 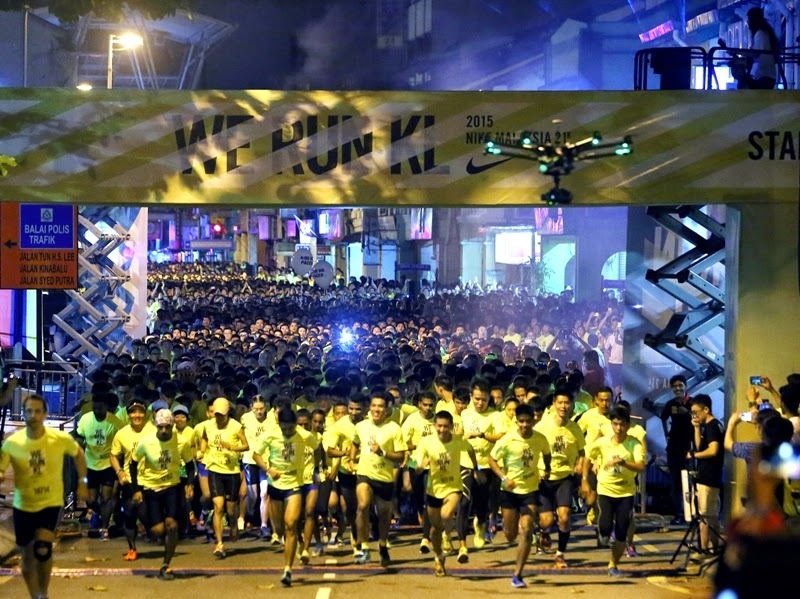 At the 13km mark, halfway through the race, runners could rev up their speed on an eight-kilometer stretch of unhindered highway. 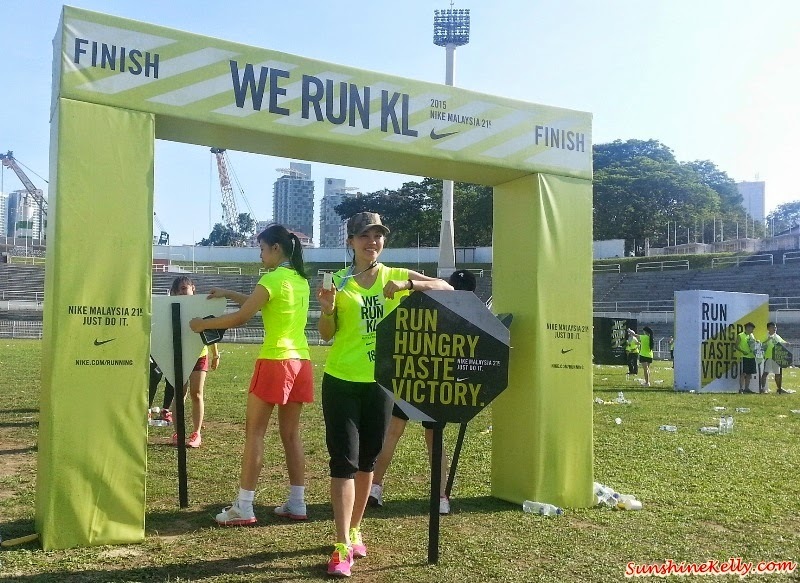 The Last 5km was hard as my legs started to cramp and my body became so hot due to the sunny weather that morning. The ice packs and 100PLUS help a bit. I was a bit dizzy but I managed to walk till the finishing line. Lesson learnt never go to any race unprepared and I shall go for training before my race. Well, my timing was not good at all around 3 hours plus (so shy to mention here). I know there is nothing to shout about but for a beginner like me need some motivation bah (syiok sendiri). To the pro runners please don't laugh at me wokey... I am glad that I finished the race. And got myself finisher medal, Proud Lah! Boleh Lah! I shall train harder and strive for a better timing next time. Running is fun if we run together with friends and buddies. Thanks to Max runwitme http://runwitme.blogspot.com for some of the photos taken during the race. Are you a runner? If yes what is the longest distance that you run?